In lieu of stepping into “music festival season” with absolutely no idea what to wear or take to such an event, StyleByLynsee.com has put together a one-stop shop for music festival essentials. 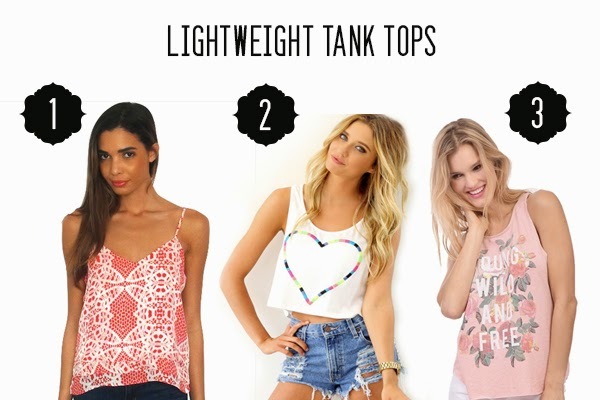 With massive music festivals like Ultra, Winter Music Conference and Coachella coming up, one can’t help but think about what to pack (aside from a bright colored tutu or glow stick collection). 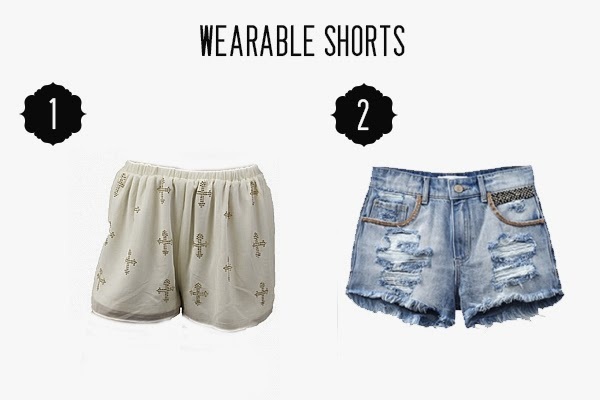 As for bottoms, a casual pair of shorts can go a long way when raging it in a music fest. Therefore, a few that I recommend are a lightweight pair of embellished shorts such as these beauties by Monc Boutique (1), or a distressed pair of denim shorts like the ones from the Style by Lynsee shop (2). Of course, the basic essentials for an outdoor festival are a nice pair of sunnies (like these gorgeous heart shaped sunglasses from the Style by Lynsee shop) (1) and a floral headpiece. I’ve been loving the Dani floral crown from Blush Boutique (2) paired with heart shaped sunglasses for a playful daytime look. A few other things to pack along include GBS Beauty’s Supergoop SPF 30 Anti-oxidant Infused Sunscreen Mist (5) and their Pinch Provisions Minimergency Kit (2). 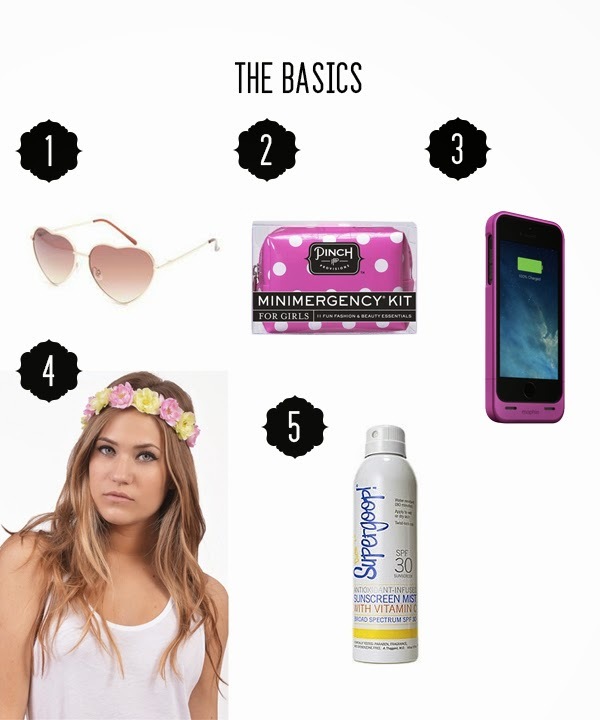 The minimergency kit is awesome because it includes any possible item that one would need: hairspray, glitter nail polish, emery board, lip balm, earring backs, hair bands, barrettes, facial tissues, breath freshener, emergency info card, and sparkly adhesive bandages). Additionally, having a Mophie juice pack (3) is essential for any cell phone because it allows it to charge without having to run around like a crazy person while looking for a power outlet.